The 3 button sport coat is the most versatile wardrobe piece anyone can own. Considered a mandatory closet item, 3 button blazers are effortless formal wear that also provide the option of being dressed down for casual occasions. Choose jeans and casual shoes for a morning brunch meeting. Later, add dress shoes and a button down shirt for casual, but professional drinks with a client. Tomorrow, wear slacks and the 3 button sport coat to a formal reception with colleagues. There is no denying this coat has it all and serves many purposes. It is versatile and ageless. Get one in a lighter weight material for summer events and slightly heavier 3 button sport coat for cooler weather and winter wear. Consider the many colors and fabric choices available. 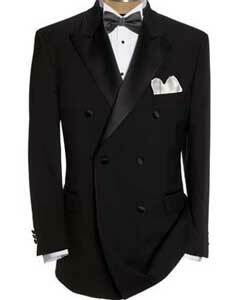 Watch for options such as covered buttons or notched and peak lapels. Whatever you decide, affordable 3 button blazers are not difficult to find and you will have a well-rounded wardrobe with a key item like this to help ensure you confident and comfortable, no matter what the occasion. Sport coats are both casual and formal, professional and academic, indoor dinner wear and outdoor outerwear. You can look like the guest of honor or be the most fascinating attendee everyone else hopes will be assigned to their table. Sport coats are an essential item for your closet and ensure a well-rounded wardrobe. Make style choices such a whether it will be a 3 button sport coat, which is among the most versatile because of the ability to dress it up or down. It is also an ageless clothing item because it has been and for the foreseeable future will be the fashionable choice. Choose the material, such as cashmere, wool, or microfiber. Then choose the color. A white sport coat is just the thing if you are looking to stand out in a crowd. A white sport coat is also perfect for a sunday brunch, a wedding reception, or any summer occasion. Be sure to dress it up with dress shoes and a nice shirt, or dress it down with jeans and a polo shirt. Either way, a white sport coat is the perfect choice for a complete wardrobe.